Looks like the dates and locations of the four cities that will host American Ninja Warrior 5 (leading up to the National Finals) have been released. I believe they have begun notifying folks for Venice Beach, and will be notifying folks for other cities probably 2-3 weeks before the actual competition. They have also confirmed that there will be walkon spots this year as well. With today being the official close of the video submission and application period for American Ninja Warrior 5, and having personally gotten my video in last week, now begins the painful annual rite-of-passage of the “Waiting Game” when we’ve done everything we can and we’re simply in the land of indeterminate limbo while we wait to hear back whether we’ll be blessed with an invitation to toe the line at American Ninja Warrior or not. In every season except the first one, which I didn’t compete in and thus can’t speak to, the competitors have heard only a week or two before the actual competition whether they’d be given a guaranteed spot or not. Yes, insane. Particularly when considering that the competition is often held during the week when most of the normal world would be busy with their jobs, which attests to the level of conviction we competitors have to compete and willingness to drop everything on short notice just to step onto the course and get our crack at obstacle course glory, or infamy (as the case often is). We’ve been given assurances that this year casting will work hard to give us more advanced notice about when and where the competitions will be held, and whether we’ll be invited to compete. While they have said basically the same thing in past seasons, I actually believe them this year…there seems to be more continuity in the casting staff this season, and a genuine commitment. So, fingers crossed. Rumors are that we’ll hear in the next week or two the “when” and “where” pieces of that puzzle. I’ve heard that there will be 4 cities which will host competitions this year, one more than last year, and that the city locations will serve as proxies for the regions that structured the competition last year. #1 “Act As If You’re Already Accepted” – You can agonize over whether you’ll be invited or not, and this worrying is totally non-productive. Fretting for weeks is unpleasant, and if you have a significant other this distracted fretting can really freakin’ annoy them as you only partly pay attention to anything they have to talk about not related to American Ninja Warrior. Do yourself a favor and do a Jedi Mind Trick on yourself, and convince yourself that you have already been accepted and are just patiently waiting to compete. #2 “Train Hard, but Not too Hard” – The excitement and anxiety the weeks and days before the competition is hard to deal with. I see many ninjas channel this into some ridiculous new escalated training routines, often attempting new tricks of ninja-ery, which often leads to injuries. While it is awesome to be in peak physical condition for the event, it’s a huge freaking bummer to injure yourself right before the competition after months of training and dreaming. 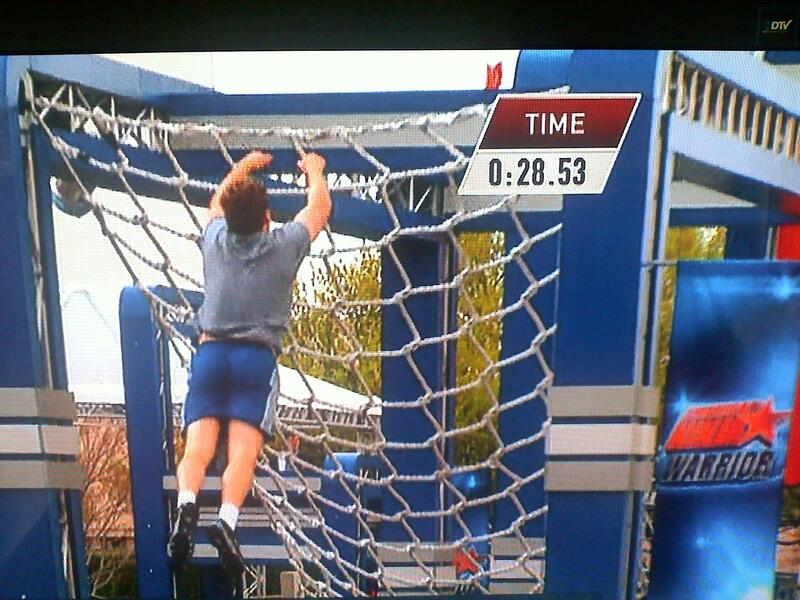 Believe me, I jacked myself up the DAY before American Ninja Warrior 2 because I was attempting a silly feat of ninja-ery, and I almost couldn’t compete, and it definitely influenced my failure on the Spider Wall. Don’t do this to yourself. #3 “Commit Yourself to Walking On” – If you really want to compete, you should be willing to walk on. With the short notice we are likely to get about whether we have a guaranteed spot or not, you’ll have had to clear your schedule to compete anyway by the time you find out if you have a guaranteed invite. Last year I didn’t get a guaranteed spot, and drove 3 days with the kids and wife packed into the family SUV to try for a walkon spot. While it sucked and I asked myself many many times on that drive (and standing in the walkon line before dawn on competition day), whether I was mentally unstable, I’m totally glad that I walked on. It was my best year on American Ninja Warrior yet, both from a performance and an experience perspective, and I never would have gotten that if I hadn’t manned up to walk on. In fact, my whole American Ninja Warrior experience would probably have ended there as I doubt I would have gotten the support from my family to try for ANW5 after not competing in ANW4, and no doubt pouting for months afterwards to their annoyance. Committing yourself to this Tip #3, walking on no matter what, will really help you with Tip #1, knowing you are going to compete and relieving yourself of worrying. Hope those tips help, and hope I can follow them myself! It’s finally out! 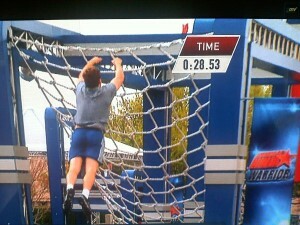 Information about when American Ninja Warrior 5 might be held, and how to apply to be accepted to compete. You can go to this casting information page which holds the rather lengthy submission form, as well as provides the information you need about getting your tryout video together. – Window for submitting your tryout video and application is February 1st until March 15th. – Your submission video must be 5-8 minutes in length. This is a change from previous years when 5 minutes was the max. – The national finals in Las Vegas will take place June 10-17, 2013.